Crumbles, Crisps, Cobblers: What's in a Name? Today: Does a crisp by any other name taste as sweet? The answer is that it does. We attempt to define Bettys, cobblers, buckles, and their kin -- we sort of succeed. The short answer to the differences between crumbles and crisps and Bettys and buckles is this: there exists no universal consensus. 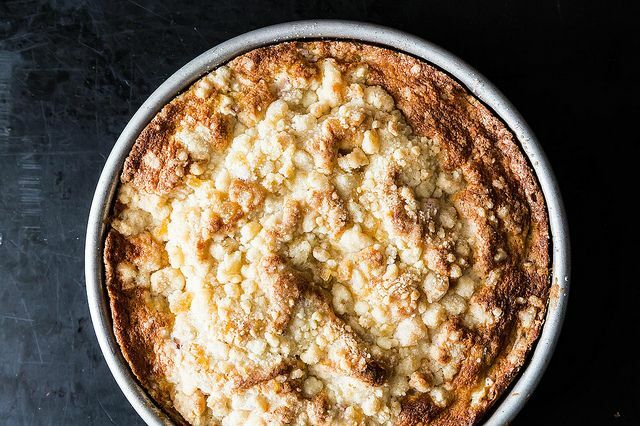 What does exist is piles of warm, slouchy fruit, melting into a rich crust (or a streusel, as the case may be). You'll eat it with a spoon -- sometimes your hands -- and the whole mess will shout to the rooftops that it's summer. Not a single version will protest a scoop of vanilla ice cream. But go to any two barbecues, any two cookouts, and each will call the same dish by another name. The internet is no different. In every corner you'll find a different definition, a rebel recipe. Kim Severson of the New York Times, who's been known to dabble in the subject, has had a similar experience. "This whole category is one of the most controversial I've come across, " she says. "Trying to sort out the difference between a crisp and a crumble or figuring out what constitutes the proper cover for a cobbler can keep a good cook up at night." Here's how to not lose too much sleep. Opposite the more flamboyant slump, grunt, sonker, and pandowdy, the regular suspects are those with names that sound more like desserts than an 18th century dance performed somewhere below the Mason-Dixon line. 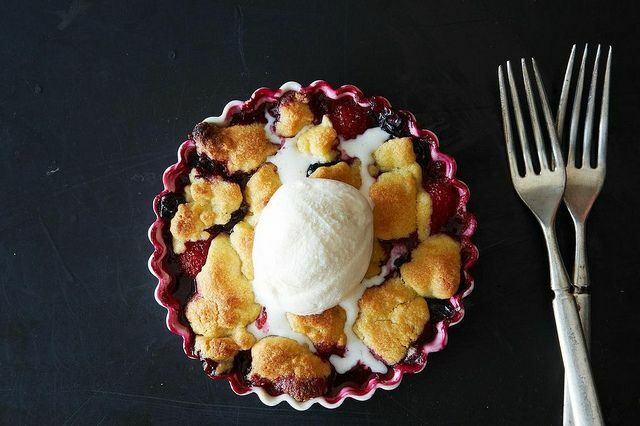 These are the desserts you'll see most often on picnic tables: cobblers, crisps, and crumbles. They're are all made with fresh fruit -- part of the reason we're so damn confused this time of year -- with a crust of some kind. A cobbler's crust, generally, takes the form of dropped biscuits which swell up as they bake, unevenly and pleasantly craggy, to look like cobblestones. Easy, right? Crumbles and crisps get a bit trickier; they're so closely related that they can switch places on a whim and you'd be none the wiser. And they often do. Both, again, have a stewed fruit foundation, but the distinction lies in whether oats are allowed in the streusel caps of crumbles. (With crisps, oats seem to be fair game.) 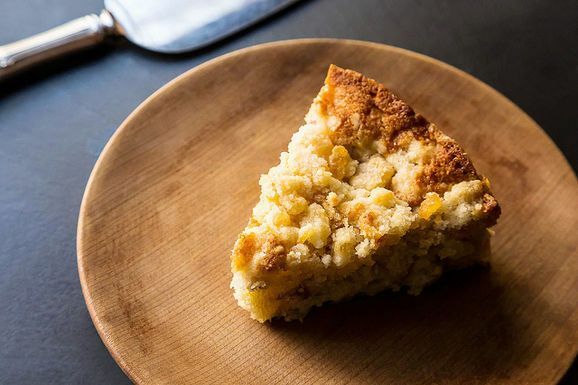 Many of Martha's recipes say no oats in a crumble, and since she's Martha -- and she does it all perched on one stiletto-ed foot -- you might be inclined to believe her. But don't yet. Baking authority Maida Heatter has a blueberry crumble recipe that calls for oats, and a rhubarb crumble that doesn't. In the same book, she has a crisp recipe -- the dessert which we were led to believe is the only sacred place for whole grains -- which makes no mention of oats at all. To further confuse the issue, Dorie Greenspan, coming out of left field, makes one with Biscoff cookies. If the regular suspects are the Daves, the Mikes, and the Roberts of the baked fruit dessert world, then the remainder are the Moxie CrimeFighters and the Pilot Inspektors: they're mostly the same as everyone else, just with a more unusual name. Buckles and Bettys are a breeze. The first is decidedly more cake-like than the rest, with the fruit added to a batter and a streusel sprinkled atop (oats, here, are up to you). When baked, its surface will appear to buckle just slightly, hence the name. A Betty, described in this book as the thrifty cousin of the family, leans only on bread crumbs and sugar to support its fruit. With slumps and grunts, the waters, again, get muddier. Many think of these two as the same classic New England dessert. Some conjecture that their parts -- a layer of cooked fruit and a custardy, steamed-pudding-like top -- are similar, but the cooking method is different. (Slumps are baked and grunts are steamed on the stovetop.) James Beard proposed that grunts and buckles are one. Are you still keeping track? If you ever run into a sonker, act casual -- it's basically a deep-dish cobbler made with biscuit dough or pie crust. Pandowdies, though, deserve pause for two reasons. First, they're equal opportunist: top their seasonal piles of fruit with whatever pie or biscuit dough strikes your fancy. Add oats if you want. Second, the pandowdy is the novice baker's saving grace, a fallback fruit dessert if making beautiful pies isn't your strong suit: either at the end or halfway through cooking, you'll break up the topping and stir it into the filling. In other words, a pandowdy is an acceptable excuse to wreck your pie. Our advice above all? If warm, sweet fruit and buttery toppings sound good to you, just eat it -- whatever it is. And thank your lucky stars for pronouns: when it's time for dessert, "Can you pass that please?" should work just fine. What does your dessert go by? We want to hear the names and stories and recipes for your favorite baked fruit desserts in the comments. Apple Crisp in our house was truly economical but oh so divine: butter up an 8" sq baking dish, fill halfway up with sliced tart apples, sprinkle mixture of brown sugar and butter and bake until crispy brown. Served with a small pour of milk. No one made it like mom. Great article, lol. Loved it! I only have one complaint about these articles. WHY THE HECK do those stupid ads BLOCK the text in places? There definitely needs to be an X located in the upper right corner, so those of us who HATE them can close them permanently, LOL! All I know is that every recipe I follow from Schreiber&Richardson's Rustic Fruit Desserts tastes amazing, no matter what it is called. they've got them all - the crumble, buckle, pandowdy, betty, galette, grunt, slump... - with explanations and great tips for novice bakers. It is my summer baking bible!!! Making a pandowdy is officially on my summer to do list. Had the most delicious blueberry " pie-like thing-a-ma-jiggie" on Vinalhaven, Maine this holiday!! And because I wasn't certain what it was, I took your advise when asking for "it" to be passed!